‘The Fine Art Society is pleased to present a major retrospective exhibition of the British painter, Gluck (1895-1978). 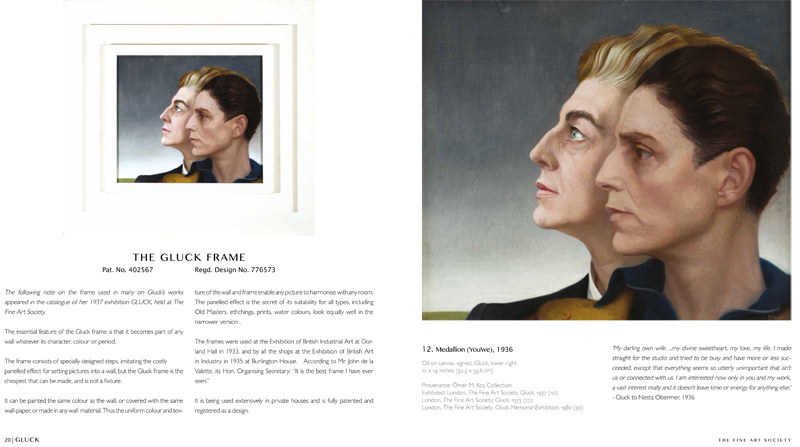 Featuring 32 works including Gluck’s most important painting, ‘Medallion’ (1937)[a double portrait of Hannah Gluck and her wife Nesta Obermer], the exhibition will explore the fascinating life, work and legacy of one of the most pioneering artists of her generation.’ – from the press release by The Fine Art Society. The exhibition is accompanied by the publication Gluck, a catalogue which is for download at the website of the Fine Art Society. Spread from the publication ‘Gluck’, with the painting ‘Medallion’ (YouWe), 1936. Oil on canvas, signed, Gluck, lower right, 12 x 14 inches (30.5 x 35.6 cm). 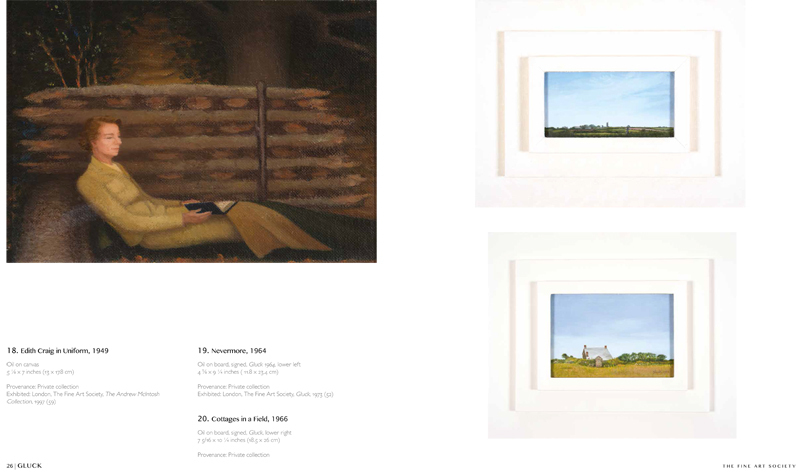 Spread from the publication ‘Gluck’ by The Fine Art Society London. Hannah Gluck’s biography on Wikipedia.